An appeals court revived a patent infringement suit Apple had launched against Motorola Mobility, as well as one infringement claim Motorola had against Apple. The case was dismissed in 2012 by Judge Richard Posner, but Reuters reported that the U.S. Court of Appeals for the Federal Circuit ordered the judge to reconsider some of his decisions. The suit against Motorola Mobility was based on some of the same patents Apple has used to sue Samsung and other Android OEMs. While the suits against Samsung are being overseen by Judge Lucy Koh in California, the suit against Motorola and a countersuit from Motorola had been consolidated in the U.S. District Court for the Northern District of Illinois under Judge Posner. Judge Posner has history of little patience for patent infringement suits, and in 2012 he dismissed both cases from Apple and Motorola. At the time, he ruled that neither company could prove infringement, and that even if Apple could prove infringement, the company wouldn't be able to prove that the infringement had harmed it. He also ruled that a sales injunction against Motorola would harm consumers, taking that option off the table. 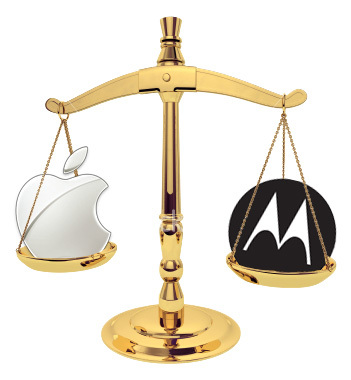 The U.S. Court of Appeals for the Federal Circuit ruled that Judge Posner had defined one of Apple's patents too narrowly, and it ordered him to reconsider his decision to disallow a sales injunction against Motorola Mobility. At the same time, the appeals court affirmed the dismissal of two of three patents Motorola was asserting, but it revived a third. The court also ruled that Motorola could only seek monetary damages for that patent, which is a standards-essential patent (SEP), and could not seek an injunction. The suit has been complicated since its dismissal, as Google has since sold Motorola Mobility to Chinese PC manufacturer Lenovo, even while keeping most of the patents that Motorola owned. Who is liable for the Motorola case at this point should make for some overtime for someone's lawyers.